With little wildlife in Kauai, other than chickens and rooster, we find ourselves more attracted to birds than we've been in the past. These Zebra Doves are commonly seen in Kauai although not native to the Hawaiian Islands. The marina in Port Allen, Kauai. For those of you who entered our site somewhere in between, here is our first post from March 14, 2012 posted without any photos. As time marched on, I began to write more frequently. When we realized photos were to be an integral part of this site, gradually we added photos, more and more as my skills reach a level where it wasn't embarrassing to include my feeble attempts at photo taking. A view from a single lane bridge we crossed along Highway 56. In March 2013, a full two years ago as of tomorrow, we began to post daily including photos, only missing a few days here and there due to a poor wifi signal, power outages or travel days. Although on most travel days, we've posted something, albeit short and without photos. Its ironic that there were milestones in March in both 2012 and 2013 but its a mere coincidence. Sometime this upcoming summer we'll hit out 1000th post. Its hard to believe I'd consistently do one thousand of anything, let alone write every single day. We'll certainly mention that day when it arrives in July. The mountains, a few days before the rains. I'm not tired or bored with doing this nor is Tom with his fact checking, research and proofreading. Its a labor of love coupled with a passion for sharing our sometimes exciting, sometimes mundane, lives with those who will listen. I suppose if I started reading such a continuing story I'd always be curious as to what happens next. We've thought about whale watching tours such as this but after spending over $400 on such tours with no sightings, we tend to hesitate to book another. Perhaps, we'll wait for whale watching in the South Pacific. No words in this amateur writer's vocabulary can possibly express the gratitude we both feel for our loyal readers who follow along with us even on the dull days with few exciting photos or with photos they may find less interesting. A hazy zoom to houses build into the side of a mountain. My photo taking skills continue to grow but can only grow as fast as the quality of camera we have at any given time. On our third camera since we first left the US on January 3, 2013 (we left Minnesota on October 31, 2012), we still have a long way to go. When does an amateur photographer ever feel they can stop learning or improving their equipment? Rock gardens always baffle us as shown at Russian Port Elizabeth. Of course, in August, 2014 we visited Stonehenge, the premier rock garden of them all. One of the biggest challenges has been having enough photos to share each day. Its on our minds daily...where shall we go to take more photos? At times like this, when its been raining for three solid days, neither of us have much desire to get out and walk or even drive looking for photo ops. Not all beaches in Kauai are sandy and pristine. At any given time, I have no less than 50 photos I've yet to post which I keep in a folder on my desktop, each day moving the photos I've used that day to a permanent file. On occasion, when we do post the same photo more than once, I say so in the caption. That's not to say I don't make an error from time to time. Gosh, try to write an essay with photos everyday and not make mistakes. It goes with the territory. If perfection were the objective, one would tire of doing this rather quickly. Knowing our readers give nary a thought to our occasional error, I go at it each morning between 7:00 and 11:00 am (our time) with a passion only I can explain. Its been almost three years since the first post, two years since posting daily. A breakwater with a warning light and a small fishing boat. This morning as I perused our remaining yet unseen 78 photos, I contemplated the nature of a theme in the photos, which invariably I attempt to include although not always mentioned. Today, I'm at a loss so please bear with me. There is no theme, no rhyme or reason to these photos and perhaps those over the next several day's photos as the predicted week long rain continues. One day we stopped by the Kilauea Lighthouse which was closed for the day, hoping to see whales. We've yet to tour the lighthouse with it been so crowded on the days its open, Tuesday through Saturday, 10 am to 4 pm. We didn't see whales but will return for a tour as the tourist season wanes in a few months. Once the sun shines again, we'll be back out walking and driving enjoying the wonders of Kauai, telling our story in both words and photos, sharing them with all of you the next day. Luckily, although its raining, we still have a social life. Today, we're off to friends Richard and Elaine's lovely home for a midday party with another couple we've yet to meet. There's no doubt it will be delightful day, although indoors, as we revel in the privilege of having friends in Kauai. A craggy shoreline in our area of Princeville, where most beaches are located below a steep and treacherous cliffs, often inaccessible. A mere 10 to 15 minute drive will take us to exquisite sandy beaches as shown in past posts. As soon as I'm done here, I'll make the second dish I'm bringing to share upon my own insistence. yesterday, I prepared the first dish. Since our cozy condo is simply too small for entertaining anyone other than ourselves, we feel highly motivated to bring a dish (when appropriate) when visiting other's homes. Rain, snow or shine, we all tend to find ways to keep ourselves entertained and hopefully, engrossed in whatever we choose to do. Happy Saturday! We took this photo, our last sunset in South Africa, as our plane headed out of South Africa. Tears welled up in my eyes not only when saying goodbye to our many friends but also to the many visitors that oddly came to call over the last several days as if they knew we were leaving. (Oh, well. Its romantic to think that anyway). Someday, we'll return. In the interim, our hearts are filled with memories we'll carry with us for the rest of our lives. For details from that day as we made our way to Morocco, please click here. Before the week long predicted rain, it was clearer than we'd seen since our arrival, with considerably less "vog." Its been sunny in Kauai almost everyday since we arrived over six weeks ago. One of our new friends has said we brought the sunshine with us. Many locals have mentioned it rains a lot in the winter months as shown in this chart but until these past two days we haven't had much rain. Many times it rains only at night or for a few minutes during the day. On Tuesday, while the sun was shining we headed out for our walk only to find it raining when the sun is shining, not unusual in Hawaii. With the fear of getting the camera soaked we went back inside. Its been raining since. Yesterday, when I headed to the club, I got soaked from the car to the fitness center and again when I stopped at the Foodland market for a few items. I never see a local using an umbrella, only the tourists. In an effort to fit in during our extended stay and the fact that we don't have an umbrella, I was soaked along with everyone else. It was funny to see all the soaked hair and clothes while grocery shopping including my own. Oh well, I was dry shortly after returning home and my hair was resolved by a quick swipe or two of the flat iron. Today's photos are from our last walk on Tuesday when the sun was shining. With our extended stay of four months, with less than three remaining, we find ourselves feeling more and more like locals than ever before. At the grocery store, I found myself buying the quaint local newspaper, The Garden Island, later reading it from cover to cover, savoring every word as if it all mattered to me. Somehow it did. The vibrant greenery with the sea as a backdrop creates an appealing scene. This happens to us when we stay in a locale for three months, more so than a stay of six weeks to two months. Perhaps, that feeling of inclusion is self imposed by some innate desire to "belong" as we've observed in the wildlife kingdom where familiarity is the foundation of feeling safe and secure. We humans are like that too. Traveling down the cliffs to get to this cozy beach is too treacherous for us old timers. I suppose that's why those of you who are armchairs readers of our posts, for whom we are very grateful, find yourself only dreaming of traveling the world unable to conceive of letting go of that which you know and love. We get that. The craggy rocks and vegetation are common along the shoreline in the Hawaiian Islands. Neither of us had ever dreamed of traveling, let alone unencumbered with "stuff." Four years ago, before we ever conceived of this idea, I couldn't have imagined giving up my comfy chair in the family room, the various artwork on the walls or my four colored set of Fiestaware. The colors of the sea is breathtaking. We were like most people who feel proud of the various items we'd discovered throughout the years incorporating them into our lives as treasured possessions. Beside all the obvious challenges of leaving all the people we love, we left the neighborhood where we'd spent 26 years for me, 21 years for Tom; the familiar walks in the neighborhood, the sounds of the loons calling to one another a distance from the shore, the giant owls hooting in the trees at night and what Tom affectionately called Big Bird, the blue herons that often stood on the end of our dock while we oohed and aahed each time they came to call. Spring flowers begin to bloom as spring comes early in tropical climates. Do we miss all of that? Surprisingly, only for a moment when we're reminded of something special. Instead, we've found new treasures, not a comfy chair or a hand carved lamp made from downed trees in the yard. We've found other treasure, none of which we can take with us. Cattle egret are common in the islands. This morning, another rainy day that isn't predicted to clear, I sit here in a less comfy chair with the sounds of roosters crowing in the yard. My little "birdie" friends will soon arrive chirping at me for yet another morsel of the raw walnuts I put outside on the veranda railing everyday. Soon, I'll head back to the grocery store when last night I realized I'd forgotten an important ingredient for the dishes I'm making to bring to a luncheon at the home of friends tomorrow. And, once again, I'll get soaked in the rain and...once again, I won't mind. The caption I wrote last February 27th, on day before leaving South Africa holds true today in regard to the small things: "Thank you, Mr. Tree Frog for serving as the mascot for all the "small things" that brought us so much pleasure during our time in Marloth Park. Even you, will be remembered." For photos of other visitors that came to say goodbye on our final days in Marloth Park, please click here. A little strip of clouds added to the view of the setting sun in Poipu Beach, Kauai. The sunset started like this, bright and relatively clear. With only one guest in front of me at the desk, we expected we'd be checked in quickly. Their computers were down. Well, up and down. After 20 minutes it was finally my turn. Tom waited in chairs with the bags while I handled the check in, our usual procedure. Then, it progresses to this point, giving us hope the cloud would provide an amazing view. Again with their computers up and down, the wait was annoying but, I stayed calm and friendly, especially since I was asking for a free upgrade to an ocean view room. Another 20 minutes later, key cards in hand we were headed to our upgraded partial ocean view room on the VIP level (whatever that is). It was getting more interesting by the second, not minute. Note the streak at the bottom right. When we realized we had to cross the street to get to our room, I was tempted to go back and ask to be closer to the main pool and the ocean. I decided to forgo this option realizing it would be another wasted 20 minutes. Off we went on an at least 10 minute walk to our room, frustrated as we crawled around tarps scattered all over the walkway floors. There was construction occurring in almost every area. This stuff usually doesn't bother us. But, at $300 a night, it would have been worth a mention when we checked in and perhaps provide us with a quieter area. Here's the link to our review in TripAdvisor. When it progressed to this point, we knew we were in for a treat. As always, we chose not to complain. Low stress is a part of our motto. The room did have a nice view overlooking the pool and the ocean at a distance. The king sized bed was comfortable and the décor and furnishings were of high quality and tasteful. The over-sized bathroom was well appointed with amenities including two fluffy robes hanging in the closet. We were content. After spending a bit of time relaxing and making a reservation for dinner at the popular Merriman's Fish House Restaurant located in a new nearby center, Kakui'ula Village, a shopping mall which in Poipu Beach that would appeal to avid shoppers. As darkness fell, it presented this view. Leaving the hotel for dinner before sunset, we wandered over to a lookout area to take the sunset photos we're sharing today. Other guests were equally enthused snapping photos with their cell phones. It's amazing how quickly the sun makes its final descent, quickly changing if one so much as looks away. Eyes peeled at the display on the camera, I stood in place, careful attempting to avoid making a single movement to ensure a clear shot of the breathtaking scene before us. We couldn't have been more excited to add yet another sunset photo to the dozens we've accumulated over the past few years of travel. View from our fourth floor lanai. The only available dinner reservation at Merriman's was for 7:30 which can be a problem for me. Since I exercise what is called "intermittent fasting," I only eat one meal a day during which I am never hungry based on my high fat, moderate protein diet which kills my appetite in 24 hour increments. When we arrived at Merriman's Fish House at 6:45, we asked if we could get in earlier. They were booked although, downstairs on the lower level, they had a casual burger and pizza restaurant. We decided to give it a try when the kindly hostess called to discover they did in fact have an available table. Here's the link to the review we posted on Merriman's Pizza and Burger Restaurant at TripAdvisor for details. With little sun remaining by the time we got to our room, we decided to spend an hour by this uncrowded smaller pool in the area of our distant room. Oddly, we had to walk to the main pool to get beach towels. That made no sense. For those of you who don't click posted links, the food was mediocre but the service was impeccable. The chef made a good effort to accommodate my way of eating which included a tiny salad, plain burger on the side and an extra order of avocado. Tom had a burger and fries. Our dinner was under $50 with tip. Back at the hotel by 9 pm, we settled in for a good night's sleep and an early morning exit with a plan to head to Costco and Walmart in Lihue. More on that tomorrow. Thanks, dear readers, for stopping by. It means the world to us. Louise and Danie came to pick up after our overnight at the Crocodile River Safari Lodge. As we approached our home, we spotted these giraffes, necks in a tangled mess. We all howled with laughter and joy for this scene. It was getting to be time to say goodbye to our human and animal friends as departure day loomed. For more friends that came to say goodbye including Clive and the returning Mr. Frog, please click here. The view as we walked toward Spouting Horn. Low stress, easy travel. It defines us in our ongoing worldwide travels. A plan as to where we're going to spend from weeks to months give us peace of mind. Having no plan as to how we'll spend that time in each location gives us joy. This trip to Poipu Beach a week ago, although over a span of only 30 hours was a perfect example. The only plans we had in place when driving into the sunrise early last Thursday morning was to visit Waimea Canyon which proved to be a dud in the vog and a trip to Costco on the return drive which, as always, was fruitful and spendy (an acceptable word according to the dictionary, mostly used in the northwest portion of the US). The sea was relatively calm as we near Spouting Horn. The overnight at the Kauai Sheraton was somewhat disappointing. We'll share the detail with photos in tomorrow's post. The dinner at a local popular venue was equally disappointing. More on that later as well. As we'd reached the end of the paved highway after passing Barking Sands Beach, we had no choice but to turn around and head back to Poipu Beach. Many of the interesting sites we visited along the way were shared in the posts of the last few days. Our mouths were agape when we saw the water spout through the lava rocks along the shore at Spouting Horn. Remaining in the sites we visited along the way is our few photos of Barking Sands Beach and the unexpected Spouting Horn. We'd seen the sign as shown in the photo below, having no idea what Spouting Horn could possibly be. The sign we spotted point to Spouting Horn. Was it a resort community? Did it have something to do with a horn using spouted water for sounds? Did it have something to do with water and the sea? It proved the be the later in our speculations. With only an arrow pointing us in the direction of Spouting Horn we knew were in the right place when we saw a busload of tourists, most likely from the island hopping cruise ship that tours the islands week after week, Norwegian's Pride of America. There were several openings in the lava from which the ocean spouted as the waves washed in and out to the shore. We could only imagine how majestic it would have been on a day when the waves were more aggressive. (Having toured the islands by cruise ship on our way here in October we had little interest in this cruise especially when rated a 4 out of 6 possible stars. Plus, it's pricey for the seven days seldom offering any discounts or perks). Tom was especially relieved to see the tour bus most likely with 60 patrons on board pulling out of Spouting Horn's parking lot as opposed to pulling in. As long as I had a good spot from which to take photos of whatever brought about all of the commotion, the crowds don't bother me one way or another. One of the smaller spouting openings. We parked the car and were stormed by no less than 10 chickens of varying ages, gender and size. "Food for us?" they asked in the under-their-breath clucking. "Nope," we replied as we scurried out of sight to head toward the walkway requiring us to walk through two perpendicular rows of local wares and handicrafts. Of course, we purchased not a trinket but I did take the photo below of a cat sleeping in a hand-woven basket that intrigued an adorable toddler as shown below. A cat sleeping in a woven basket, admired by a toddler, in a handicraft shop in Spouting Horn. Another 50 yards beyond the tourist shopping area, we approached a chain link fence. Maneuvering my way in between the other lookers I managed a perfect spot and found myself almost squealing with delight when we beheld the scene below. Each spout was different from the last, some spraying straight up comparable to a geyser, others creating a wider spray. The crowd roared with excitement. In concept, it was no big deal...water spouting between lava rocks as the waves washed up and back to the shore. But, in observation, it was a feast for the eyes, nature at its finest. Luckily, the fence was low enough to allow me to shoot the included jittery video, difficult to take when I had tourists at my elbows rocking me to and fro. Ah, perfection isn't what we offer here. Real life is. So jittery it will be. Please try to enjoy it anyway. Barking Sands Beach is located on the west side of Kauai on the grounds of the Pacific Missile Range Facility. This beach is part of a 17 mile long stretch that extends from Polihale Beach to Kehaka Beach close to the end of Highway 50. After a few photos and gleeful expressions between us, we sensed our time at the fence was coming to a quick end when others were obviously hankering for my good spot. I acquiesced stepping back for them to hungrily move in. Back in the little car, we'd yet to find our hotel and although we'd used accumulated hotels.com points for most of the $300 plus rate, we wanted to spend a little time enjoying the easy comfort of feeling pampered. Well, forget that. We'll tell that story with photos in tomorrow post along with one of the most exquisite sunsets we've seen to date. Although the sand at Barking Sands Beach was a deeper color, this expanse of perfection reminded us of the Indian Ocean when we lived in Kenya. Click here for our photos of the white sand beaches in Diani Beach, Kenya. Few bathers were to be found on this beach. See, Mother Nature seldom disappoints. One year ago, only days before leaving South Africa after three months in Marloth Park, we were asked to spend a complimentary overnight in a tent along the Crocodile River at the Crocodile Bridge Safari Lodge in order to write a review. While seated on the veranda, we spotted these elephants, baby and the huge matriarch holding watch over the herd. For details, please click here. As soon as we spotted this sign on the highway, we decided to give it a try. It was amazing how much we saw in one day when early last Thursday we headed to Poipu Beach to stay overnight for my birthday. For once, we felt like typical tourists, rushing from one location to another, on a frenzy to see as much as we could see in the time allotted. As we walked along the path, Tom spotted this tree trunk which sent me spiraling with joy. At first, I thought this tree had been painted which would be ridiculous at the tropical garden. Upon closer inspection, I could hardly believe my eyes. It is a Rainbow Eucalyptus or Eucalyptus deglupta. Usually, that isn't us on the tourist's mission to "see it all." We've noticed the guests that come and go, living next door to us in our Princeville condo. They come for an average of four or five days and rush out, day after day, hauling "stuff" to get out there and see what they can on their short stay. What beautiful colors Mother Natures bestows upon her treasures! Many who visit Kauai the first time stay for short periods as they often visit other islands during their vacation/holiday unaware at first that its hard to leave Kauai and for many its more difficult than leaving the other islands. Nothing compares to Kauai as far as we're concerned. These plumeria were the only greenery and flowers growing on this otherwise bare tree. There certainly is plenty to see in Kauai if sightseeing is their thing. For us, the beauty surrounding us day after day provides us with such a sense of peace and contentment that we could easily get lost in time, never seeing much outside our immediate area. These lemon yellow daisies were pretty. But this time, we've made a concerted effort to get out and see as much as we can, especially when we feel so connected to this amazing island. We continue to talk, asking ourselves if we could live here one day, but feel for a long term it wouldn't fulfill our objectives. We've accepted that if we stay in one location for any greater length of time than three months we'll get bored and restless. That's just us, having adopted a lifestyle we find exciting in its ever-changing nature. Also, the affordability of living long term in the Hawaiian Islands becomes an issue that must be addressed before considering a move here. A gnarly truck stood alone. Housing prices and rents are through the roof. The cost of electricity, fuel and groceries are shocking at times. Trips to Costco helps tremendously often ending in spending hundreds of dollars and hauling huge oversized containers of products one hopes to eventually use. Medical care, from what we've heard, is mediocre at best. Many travel to Honolulu, Oahu for treatment of more serious illnesses than seek the local care in Kauai. However, many find their love and dedication to the islands worth a struggle and with careful planning find a way to make it affordable and this we fully appreciate and understand. Here in Princeville, although an affluent area of upper middle class and wealthy, we have met many residents living on fixed incomes, managing to make it work. The gift shop at the National Tropical Botanical Garden was filled with books on local history. I suppose in a way, if we did ever settle somewhere, we wouldn't want a life of financial struggle. In many countries in which we've lived the cost of living was less than half than the cost of living in the Hawaiian islands. in the lower left of this photo. Tom reminds me not to focus on costs as much as when writing here, in hopes that our readers don't assume that's our only concern. It's not. But, many of our readers, I say, are curious about our lives wondering if they too could travel or live in another country (or area) and make it work for them. This variety was shaped differently than other similar cactus we've seen in our travels. Usually these paddles are thinner in other climates, where in this case they were double the thickness. We'd love to see comments from our readers on this topic. Feel free to write a comment at the end of this or any post. Anyway, back to our trip to the National Tropical Botanical Garden. We had no idea of this property, stumbling upon it on the highway from Barking Sands Beach to Poipu Beach in our hunger to see more and more. After parking, we walked a considerable distance taking photos along the way until finally we encountered what appeared to be a ticket office. These berries on palm trees eventually turn a bright red. 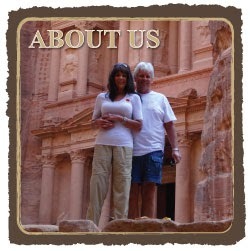 Self tours were posted for $20 each and guided tours at $40 each, lasting for a few hours. Still having much more to see as the day wore on, we decided to wander about for a short time on our own. Soon, we're planning on arranging a tropical garden tour that has been highly recommend by locals. To avoid redundancy, we decided to continue on. For whatever reason, this palm tree's top exhibited stunted growth. Any botanists in the room willing to explain? Soon, we have a professional tour of a massive tropical garden. We were thrilled to take these photos included today, a few of which left our mouths agape at the wonder of nature. Wherever we may travel we find the majesty of Mother Nature's bounty, at times right outside our door and at other times, requiring a little bit of investigation. One never knows what treasures lurk around the next corner. Please check back. We have a real treat for tomorrow's post! The previous night, one year ago, we had a braai (barbecue) for our closest friends in Marloth Park. Time to depart was fast approaching. It was a fabulous evening as the sun set and visitors came to call, pleasing all of us. For the exciting photos, please click here. On the road again! Mini vacation, here we come! A world of wonder...It never ceases to amaze us!